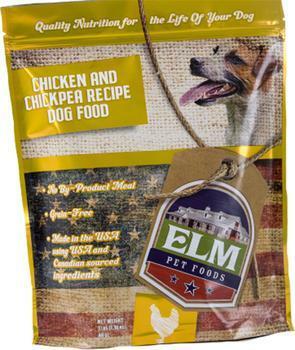 ELM Pet Foods is recalling Elm Chicken and Chickpea Recipe dog food that may contain elevated levels of Vitamin D, which when consumed at very high levels, can lead to serious health issues in dogs including renal dysfunction. The recalled products were distributed in Pennsylvania, New Jersey, Delaware and Maryland. NJ, DE, MD. Customers who purchased the recalled products should stop feeding them, dispose of them or return them to the retailer for a full refund. Consumers with questions may contact ELM Pet Foods at (800) 705-2111 8am-5pm (EST) Monday – Friday, or by email at customerservice@elmpetfoods.com.